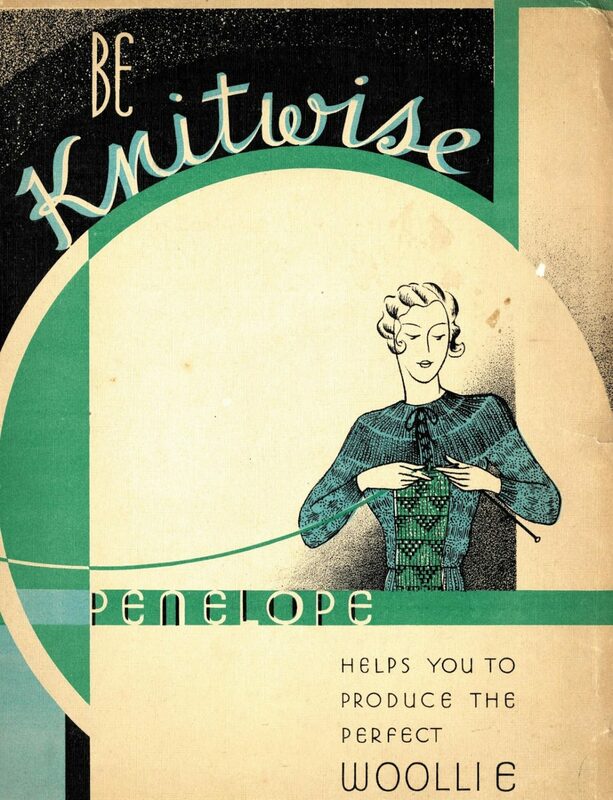 A lovely knitting book just arrived in the mail “Be Knitwise – Penelope helps you to produce the perfect Woolie’, I believe from the early 1930s. 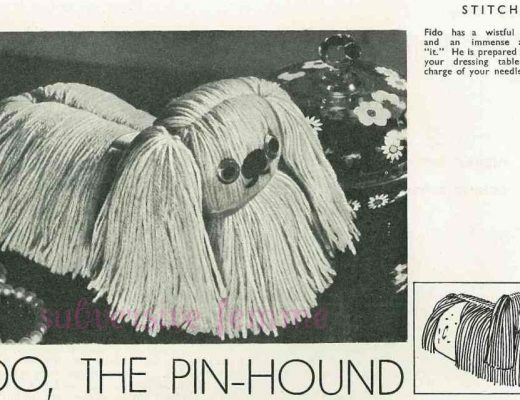 Unfortunately, it only contained two patterns (the seller on Ebay said ’70 designs with instructions’ but what they should have said was 70 stitch patterns!). 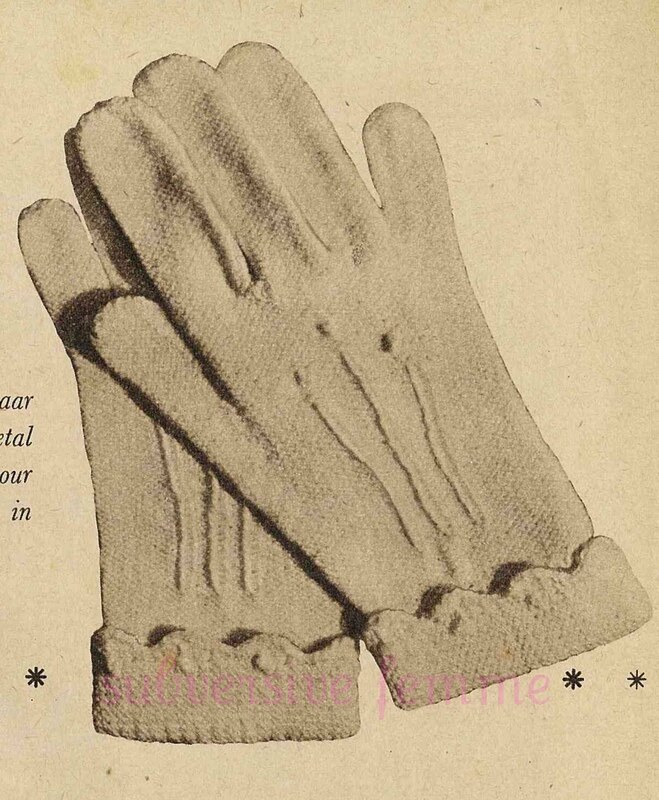 On the plus side the booklet is beautiful, and looks to be aimed at the intermediate knitter who wants to make or alter her own knitwear – that’s me! I’m going to scan the whole thing and put it up for free eventually. 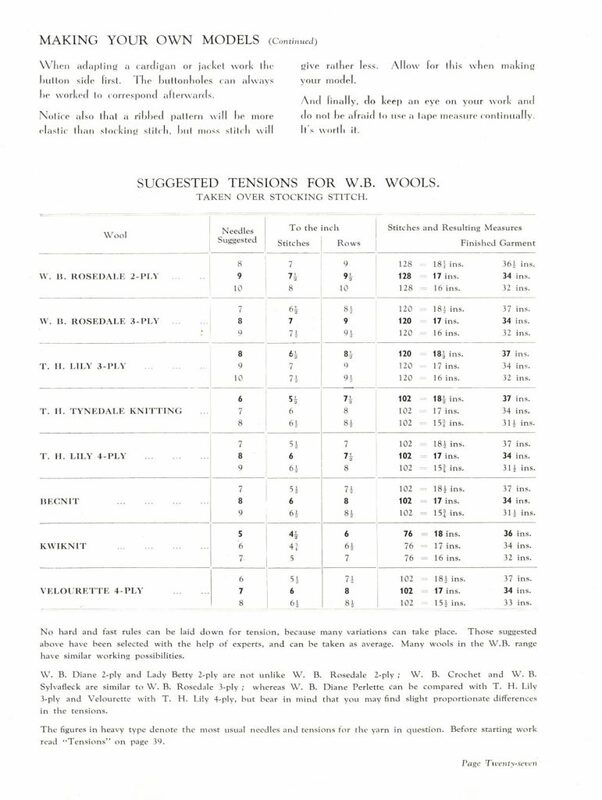 The tension table above shows the suggested tensions for different yarns, as well as an example of how to upsize knits just by using a size bigger needle. 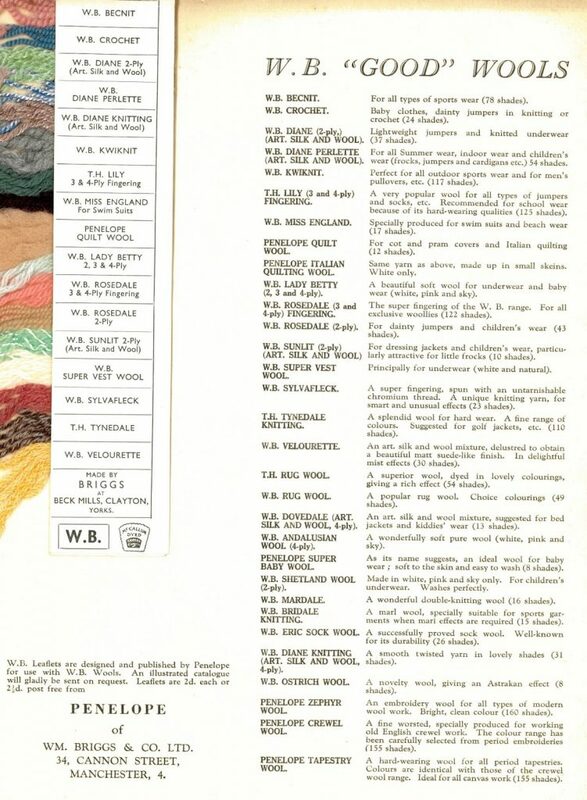 My personal favourite – the detailed descriptions of the yarns with composition and suggested uses. Next Post Your advice requested! Amazing, cannot wait for you toput this one up! thank you. Cute! and super useful as well. Going back on my “great minds” remark, it seems that my mind might have failed to reach its usual heights lately. 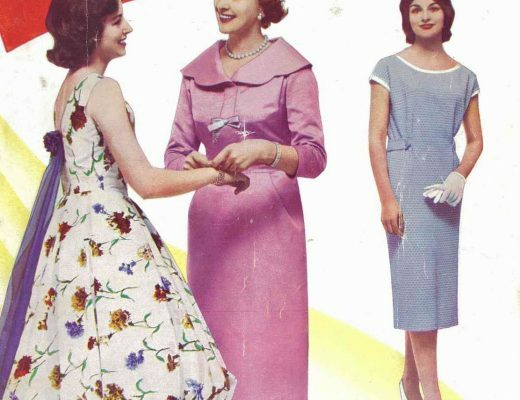 I've just purchased on ebay some yarn that I have been hankering for a while now, the Rennie Castle Collection which is, you might guess, a wool and silk mix. I got the dk coned version because I couldn't afford the 4 ply balls. The yarn has arrived and looks quite rough. It is supposed to look better once knitted and washed, but the actual knitting could be a pain. I have found very little in terms of actual yarn review on line for this. I was wondering if any of you ladies used it in the past? Thanks so much for offering to share the whole booklet! The tension guide and yarn photos are tremendously helpful ! I love finding gems like this, would love to read the whole booklet (thank you in advance by the way).